Receive 24-hour early access and insider pricing on new product releases. Arriving every two weeks. Subscribers receive 25% off and first access to new product for 24 hours. A single product releases every two weeks. If you like the natural sensibility of Chambray. And you like subtle notes of texture within fabrics. And...you prioritize softness and comfort - Japanese Soft Cotton Herringbone is for you. Seersucker is a Spring and Summer fabric. The fabric raises up on the skin, good for heat dispersion. Seersucker is a Spring and Summer fabric characterized by a puckering that is intentional during the weaving process. The puckering keeps the fabric away from the skin, good for heat dispersion. If your lifestyle has laid-back, adventure components - like skiing, hiking, weekend excursions, camping - these Baja Cotton shirts add an old-world charm. A completely different vibe than logo-driven technical outwear. Fabric milled in Japan. Shirts made in USA. 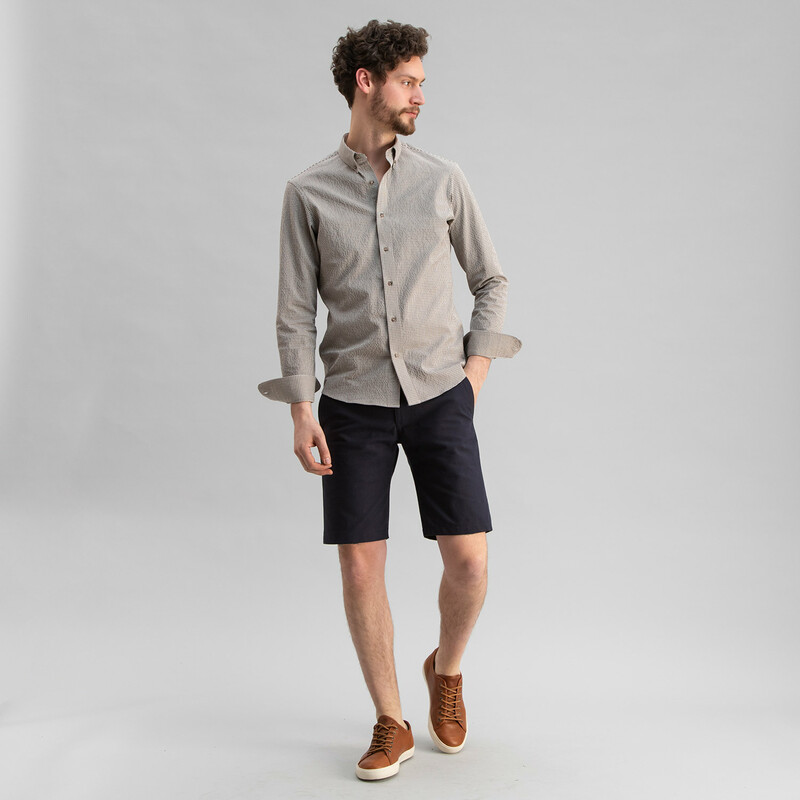 Oxford is a casual favorite within menswear, worn most famously with selvedge denim jeans. Our Oxfords are refined, comfortable and durable. Fabrics milled in Portugal and Italy. Shirt made in USA. Our Oxford shirts are refined, comfortable and durable. Fabrics milled in Portugal and Italy. Shirt made in USA. Chambray has roots in workwear, favored for its durable, casual comfort. Our chambray is mid to lightweight, offering excellent wearability all year. Chambray pairs best with jeans and khakis. Shirts Made in USA. Chambray allows for versatility, offering year-round wear and a wide range of looks. Poplin, also called broadcloth, is the most common shirting fabric. Our Standard Poplin is a midweight fabric, soft and light to the touch. These classic shirts work well with trousers, khakis and jeans. Poplins are versatile and work best with trousers, khakis and jeans.